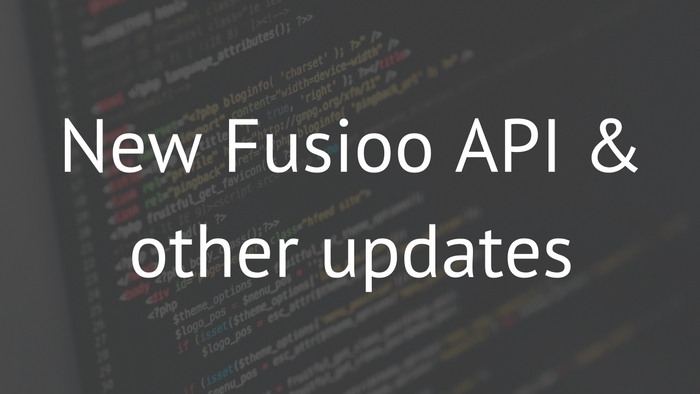 Today we are excited to announce that the Fusioo API is now live. The newly released API will open endless possibilities of what you can achieve on the Fusioo platform. Here is a quick roundup of what is new in Fusioo this month. After months of development we have launched the Fusioo API! Developers can now get their hands dirty and build applications which interface with our API. By using standard OAuth 2.0 mechanisms, users can grant access to Fusioo data, including Apps and records. Among other things, this means that now developers can integrate with any other tool to create or update records in Fusioo automatically. For more details on getting started, take a look at our detailed documentation. There are reference pages for each endpoint as well as code examples. In the near future we will be adding more endpoints to the API, giving developers access to yet more internal functionality. 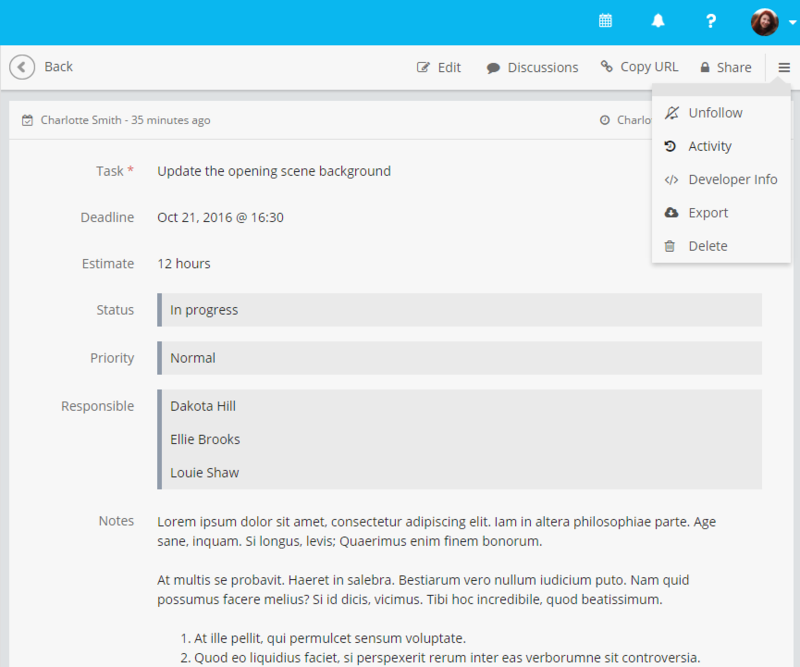 We've also reduced clutter by separating the record discussions, activity and details sections. We want to make it easier to work with clients and collaborators. This month we have added some requested Lite User updates. 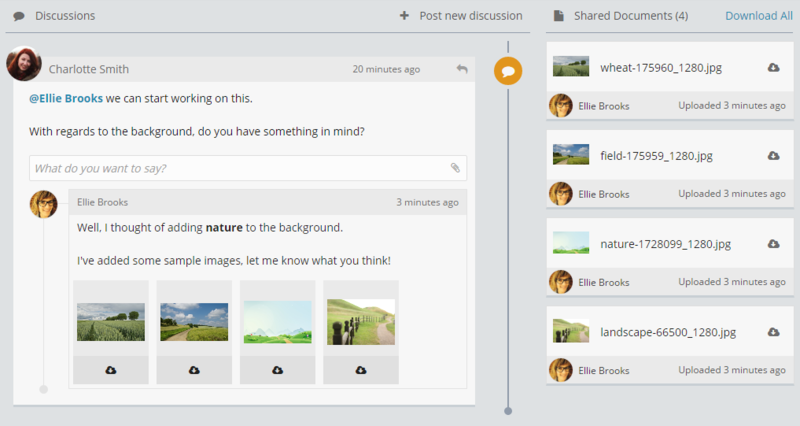 From now on, documents can be added to record discussions and comments. Lite Users with read-only access can upload documents to any shared records. Sharing records has also been simplified. We've added a bulk sharing option which lets you share multiple records with a set of Lite Users. Further Lite User enhancements, allowing you to see exactly which records are shared with Lite Users in your workspace. Email notifications and round ups will alert you whenever something requires your attention. Ability to share saved views, making them available to your colleagues. Saved views will also be receiving a facelift, making them easier to use and manage. We will be increasing the working area available in the workspace. To make this possible, we will be changing how the sidebar (where your App Bundles and Apps are listed) works. Some of the upcoming updates will change Fusioo's user interface. For this reason, we will be publishing a detailed blog post that goes through these changes before they are actually released. As always, you're welcome to send in your feedback and suggestions! More news will be posted in the coming weeks. We hope you enjoy these new updates!